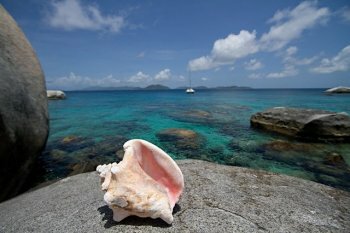 The British Virgin Islands are the top ranked sailing destination in all the world. 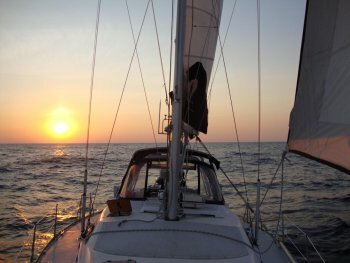 The sailing conditions are ideal, with steady, warm tradewinds, low tides and currents, line of sight navigation, protected anchorages, and very few hazards to navigation. We are planning the flotilla for April 2014. Specific dates to be announced shortly. Your cost will vary based on the boat you select. Here is a rough estimate for 3 couples aboard a 39 foot, 3 cabin boat on a 9 day charter. Boat charter is approximately $3,000. Miscellaneous fees (charter insurance, national parks passes, etc) are approximately $500. These fees, split between 3 couples comes to about $1,200 per couple. Add to this roundtrip airfare from Salt Lake at approximately $800 per person. Food on the charter will run about $36 per person per day (more if you eat out a lot.) This is a rough planning estimate, but should give you a good idea for budgeting. How does a flotilla work? Traveling in a flotilla means traveling as a group, which is much easier than trying to do it all yourself the first time. Much of the stress of a first time charter in a new area is figuring out the logistics of travel, choosing a charter company, provisioning the boat, learning about the best things to see and do, and planning an itinerary. 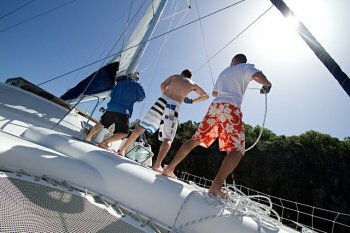 By joining a flotilla, you benefit from the experience of fellow sailors who have already done all of these things. And once you arrive, you will have friends who can help you with all the logistics of sailing in a new area - how to tie up to a mooring ball, where to dispose garbage and restock ice, etc. Our flotilla will travel as a group at least for the first two nights while you get familiar with the islands and the logistics of sailing in the British Virgin Islands. From there, you may break out on your own or form smaller groups to visit many of the smaller anchorages and islands waiting to be explored. We will schedule meet ups through the rest of the time to see familiar faces and swap tales of our travels. How do I reserve a charter boat? Conch Charters requires a deposit within 7 days of placing your reservation. The deposit amount is $500 - $2,000 depending on your boat selection. Details are on the Conch website. Yes, discounts are available from Conch Charters depending on how many boats join with us in the flotilla! What experience or certifications do I need? The charter companies’ primary concern is that you know how to sail. Certifications are not required, they are mostly concerned with your sailing experience. You can fill out a brief sailing resume on the Conch Charter website, and they will let you know what boats you would be comfortable sailing. If I don't want to be a Captain, can I still go? Yes. Some boats will likely be looking for willing crew to share in the cost of a charter and help with the sailing. This is a great way to gain experience and improve your sailing skills. What is a charter like? 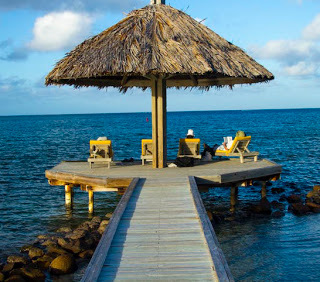 There are many options flying from Salt Lake International Airport to the Caribbean. 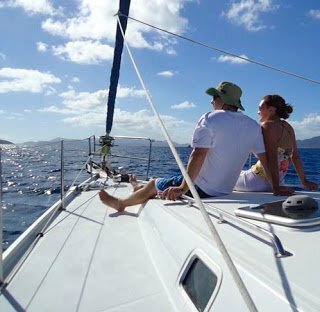 Once in the Caribbean you will catch a smaller flight to one of the two access points into the British Virgin Islands. You may either fly to Saint Thomas in the US Virgin Islands and take a ferry over to the British Virgin Islands, OR you may get a flight directly to Beef Island airport, which is the airport on Tortola in the British Virgin Islands. Either route works equally well. When do I need to decide? Conch Charters requires a deposit within 7 days of placing your reservation. The deposit amount varies depending on the boat you choose. Details are on the Conch website. You will want to choose early while there are still many boats from which to choose.